Thanks for all greetings from the leader’s wife of Ma-tsu County、 the chairman of Culture of Lian-jiang County and Lian-jiang Council President, as well as everyone came for opening reception. Special thanks for Mr. Tsai Yong-sheng and friends providing photos took at reception. With all of your support, the events went smoothly and successfully. For year-end upcoming, we would like to take this opportunity to wish everyone happy, safe and prosperous New Year. 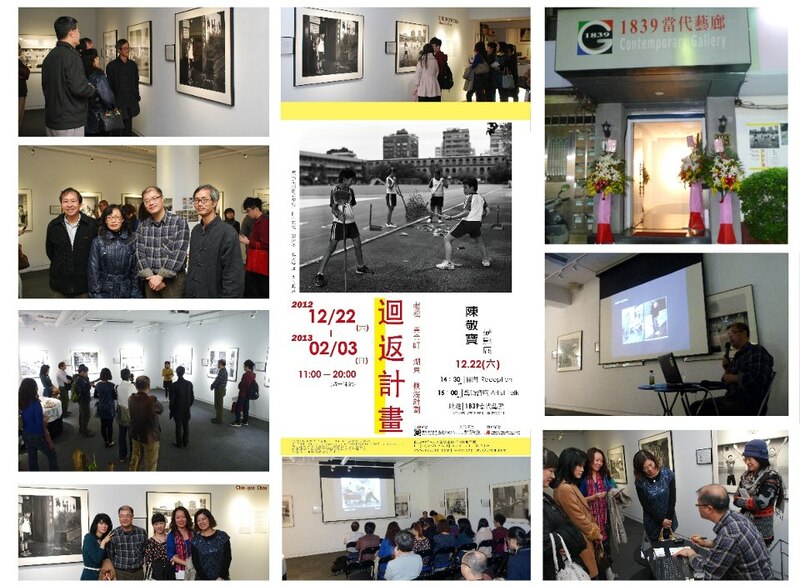 Remember be with families and friends to take a look at 《CIRCUMGYRATION》exhibition and enjoy the photographic artworks. Artist talks went well on last Saturday! Artist Mr. Chen shared his experiences and the conditions he met during the process. He also introduced some foreign photographers, i.e. Judith Joy Rose, Larry Fink and Nicholas Nixon etc, who are photographing kids as topic with different styles of presentation. 《CIRCUMGYRATION》projects represent everyone childhood memories from an elementary grade students. The content presented the memories through a single survey distributed to students and parents. Artist Mr. Chen buildup the instruction in his plan to deliver each work between reality and fiction through his prospective, inspiration, memories and observation. This is caused by his teaching experiences at elementary school. Through staying at Japanese Koganecho Art Village, Mr. Chen got opportunities to approach the local elementary schools, and opened his subsequent projects at South Korea and Shanghais China in Northeast Asia. Artist Mr. Chen said: “I just use the way to approach the original images from my head”, He has ever use 4 × 5 camera in beginning, till now 8 × 10 large camera. He was awarded of the 2010 Higashikawa Award (the overseas award) in Japan. Don’t miss your chance to see the exhibition at 1839 Contemporary Gallery until February 3, 2013.